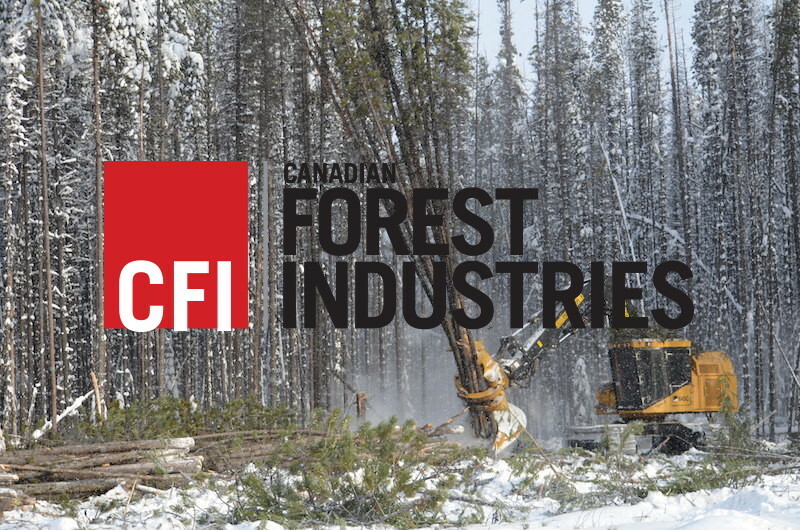 You may have heard it before – “new year, new me.” Well, this new year, Canadian Forest Industries has a new website. The original CFI website launched all the way back in 1996, in collaboration with Forest Industry Network. Our parent company, Annex Business Media, acquired the rights to woodbusiness.ca in 2010, and it has since been a staple in the industry, reporting on the current state of the industry and sharing breaking news. But the site’s last major facelift was in 2012 (what feels like a century ago in technology years), and we thought it was about time to upgrade! A key part of our redesign was making the website easier to navigate, with a new, cleaner look, which we know a lot of our readers have wanted for a long time now. We may have a new website, but that doesn’t mean we’re changing everything. You can still find breaking news on the homepage, as well as our latest videos and upcoming events. But now, with our new “Features” category, it’s easier than ever to find our latest cover stories, columns and other articles about current industry trends and projects. To stay up-to-date about new gear and sawmilling equipment, there is also a new “Products” section on the homepage. If you’re looking for more specific content, we have a new drop-down menu, organized by the same categories and topics as our old website. Here, you can find articles specific to harvesting, logging profiles, sawmilling, forest management and more. And if you want to be even more specific, our search function has finally been upgraded. So, when you type in the name of an article or a specific phrase, the website will actually search for that, instead of the first word or so. Trust me, we know how frustrating this might have been for you – it was for us! With so much content available, it may be a bit overwhelming. So, we’ve included an “Editor’s Top Picks” section, where we highlight content we think is vital for all forestry professionals to read. We know that you’re all busy and don’t necessarily have the time to go perusing through our new website. The best way to stay up-to-date? Sign up to receive our free weekly eNewsletter and bimonthly print issues of CFI by clicking on the subscribe button at the top right corner of the website, or check out our subscription centre, underneath the “Digital Edition” section. Speaking of the “Digital Edition” section, to read the latest issue of CFI or look through previous issues (going all the way back to 2007), you simply have to click on “View Digital Edition” or “Archives.” This section is always visible on the right-hand side of the website. For those of you who prefer to find news on social media, we will continue tweeting about new content on Twitter at @cfimag and sharing articles on our Facebook page. We’ve also recently begun posting content on our Instagram account, so if you’re a fan of Instagram, follow us at @cfimag. And in case you prefer LinkedIn, we also have a LinkedIn Group, where we share content and encourage you to share your thoughts with us and other industry professionals. We hope you love the new website as much as we do. Personally, CFI editor Maria Church and I are very excited to be posting content to a new, cleaner and more user-friendly website. Email me at ecools@annexbusinessmedia.com or Maria at mchurch@annexbusinessmedia.com to share your thoughts, suggestions or frustrations. We want to hear from you!